Welcome back, it’s time for the new challenge at Scrapbook Boutique, that means it’s also time for a blog hop… so of course more wonderful prizes to be won! 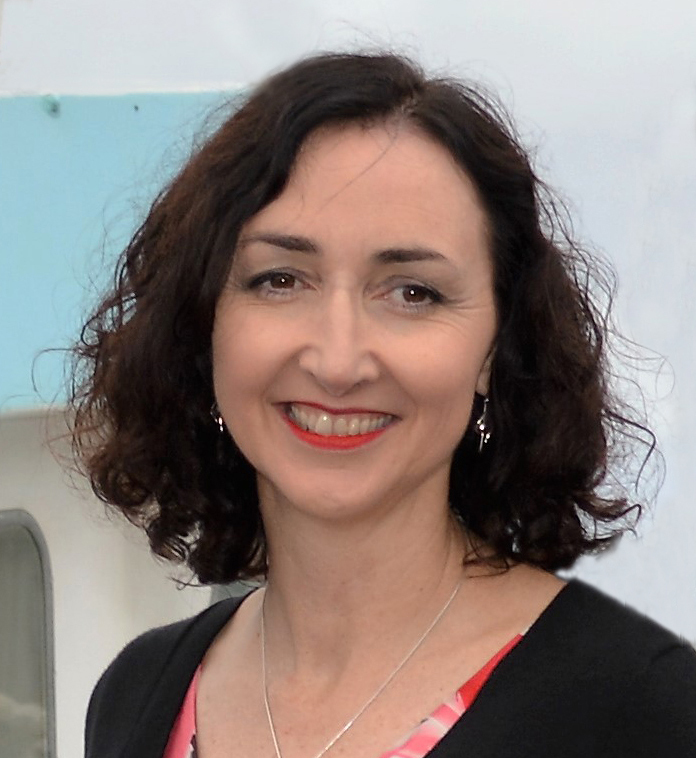 You should have arrived here from Narelle’s FAB blog! And for all the deets on how to join this month’s challenge and have the chance to WIN a $30 gift voucher stop by Scrapbook Boutique blog, you have until the end of May to join us! Isn’t it Oh So Pretty! Initially I was so tempted to go with the ‘butterflies’ but resisted the urge and focused on the pretty colour scheme with that wonderful gold inspiration. Hope you like it! Other Supplies: Prismacolor Pencils – French Grey 50%, White, Cream, Process Red, Blush Pink, Deco Pink, Eggshell, Cream, Colourless. Next > Video : Sending warm Fuzzies at TAWS! 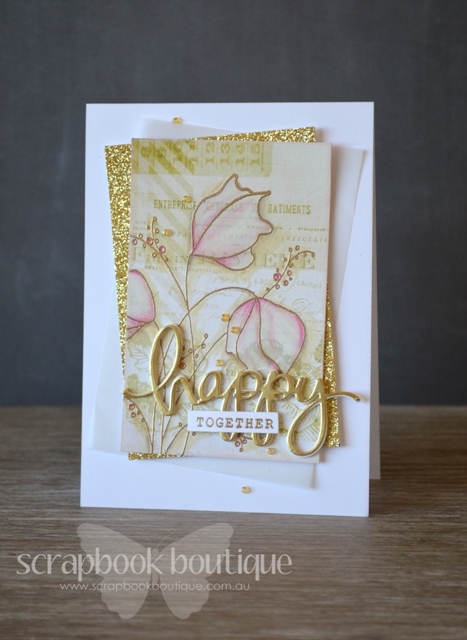 I just love Therese’s card here, with the subtle pinks and that gold!! Wow, Therese, this card is SO elegant and beautiful, it takes my breath away! So so so very pretty! Gorgeous design, colours and techniques! I always enjoy your posts and am inspired by them Therese! I just had to click over to comment tonight! 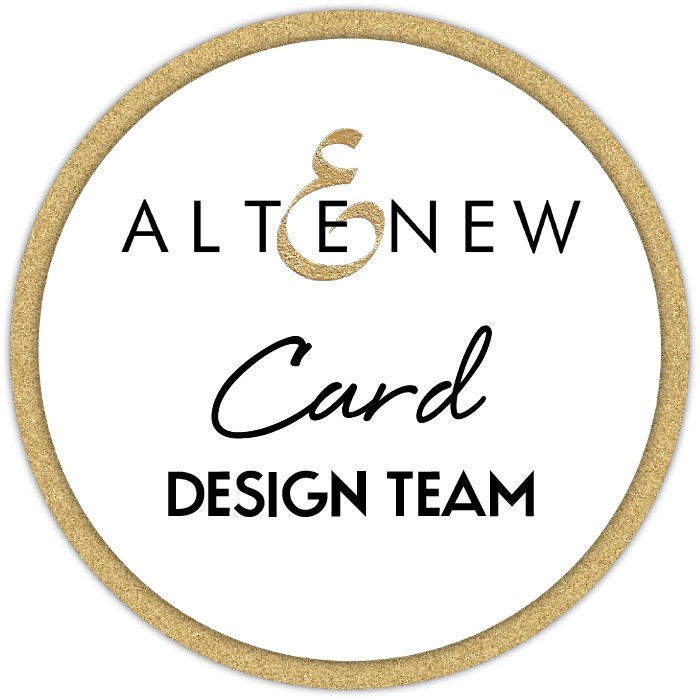 Gorgeous, fabulous card! Is this a paper with the flower or a stamp? TFS and inspiring! Thanks for your lovely comment Pam. The flower is stamped onto the design paper and embossed in gold then I coloured (quite heavily) with my white and pink Prismacolor Pencils directly onto the paper to cover most of the background design, although it does show through a little. It was easy to do. Have a great day and I hope the sun is shining as brightly where you are as it is here, I’m off to the beach now… for a run… should be funny. That is really beautiful Therese. Well done. Absolutely GORGEOUS card, Therese! 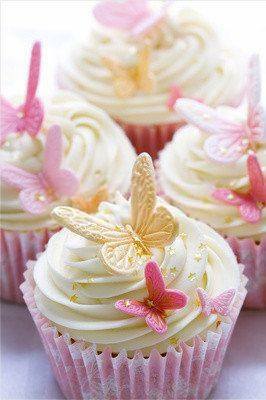 I love the sparkle of the gold and the softness of the pink…with your design, it’s truly stunning! Stunning Therese! Love the softly washed flowers and we both went with the gold die cut words :)…love them! Simply gorgeous, Therese! Nearly looks like a vellum overlay… must give this a try! Such golden goodness!! I am loving the foil paper it is so versatile! WOW!! What can I say that hasn’t already been said. This is really beautiful and creative. So soft and elegant. Oh Therese, that is so beautiful! It has a wonderful ethereal look to it – fantastic. Perfect. 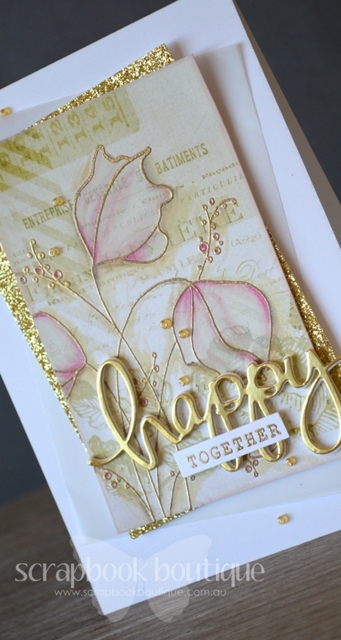 Love the soft colours and gold die cut. oh my goodness, Therese. Now this just shines. All that sparkly gold goodness. Very striking and such an effective use of the paper layers…Lovely card. LOVE IT!!!! Just so beautiful, love that die!! Thanks for the inspiration!! This is so beautiful! Love all the gold. Oh wow. All that gold makes for a very elegant card.